Putin warns Russia will build missiles if US leaves Cold War treaty – Royal Times of Nigeria. Russia will develop missiles banned under a Cold War agreement if the US exits the pact, President Vladimir Putin has warned. His comments follow Nato’s accusation on Tuesday that Russia has already broken the Intermediate-range Nuclear Forces (INF) Treaty. Russia has repeatedly denied breaking the Cold War treaty. 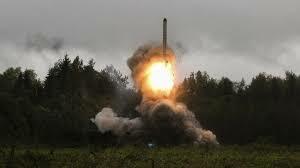 Signed in 1987 by the US and USSR, it banned both countries’ use of all short and medium-range missiles. But Mr Putin says the accusation is a pretext for the US to leave the pact. 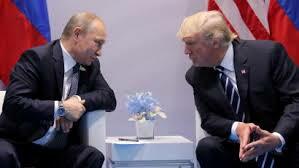 In televised comments, the Russian leader said many other countries had developed weapons banned under the INF treaty. US President Donald Trump has previously said the country would leave the treaty because of Russian actions. Analysts say Russia sees the weapons as a cheaper alternative to conventional forces.